Avril Lavigne and Nickelback frontman Chad Kroeger are engaged after a six-month courtship, according to spokeswoman who confirmed a report in People magazine. It's a Canadian coupling nobody saw coming. A spokeswoman for Avril Lavigne has confirmed a People magazine report that says the pop-punker is engaged to Nickelback frontman Chad Kroeger. The magazine says Kroeger popped the question after a six-month courtship that seemingly flew completely under the radar of media outlets and fans alike. Nickelback appeared to verify the news Tuesday, posting on its website and official Twitter account, "Congrats Chad and Avril!" along with a link to the People article. Lavigne retweeted the Nickelback note on her Twitter account and then tweeted her thanks to the multiple congratulations that came her way. People says the romance blossomed after the two got together in February to co-write a song for Lavigne's upcoming fifth studio album. Kroeger, 37, has never been married before. People says the Hanna, Alta., native proposed to Lavigne with a 14-carat diamond ring on Aug. 8. In an interview with Hello! Canada magazine, he says he fell for Lavigne in Paris while they were working on her studio album. "I knew I was falling for her. It was incredibly powerful and something I'll never forget," he said, adding that he is the "luckiest person alive." He also reveals he used a scrapbook to pop the question to Lavigne as the pair worked together on the album in Los Angeles. "It happened in their recording studio. She was scrapbooking and he added a page to the scrapbook, and the page said: 'Will you marry me?"' Alison Eastwood, editor-in-chief of Hello! Canada, said Wednesday in a telephone interview. Lavigne, 27, of Napanee, Ont., filed for divorce from fellow Canuck rocker Deryck Whibley of Sum 41 in 2009 after three years of marriage. She says her romance with Kroeger has turned her life around. "He makes me laugh every day. He takes care of me in every way and is extremely attentive," she told Hello! The engagement was trending on Twitter on Tuesday and Wednesday with many expressing their surprise at the news. Lavigne surged to fame with her 2002 album Let Go. 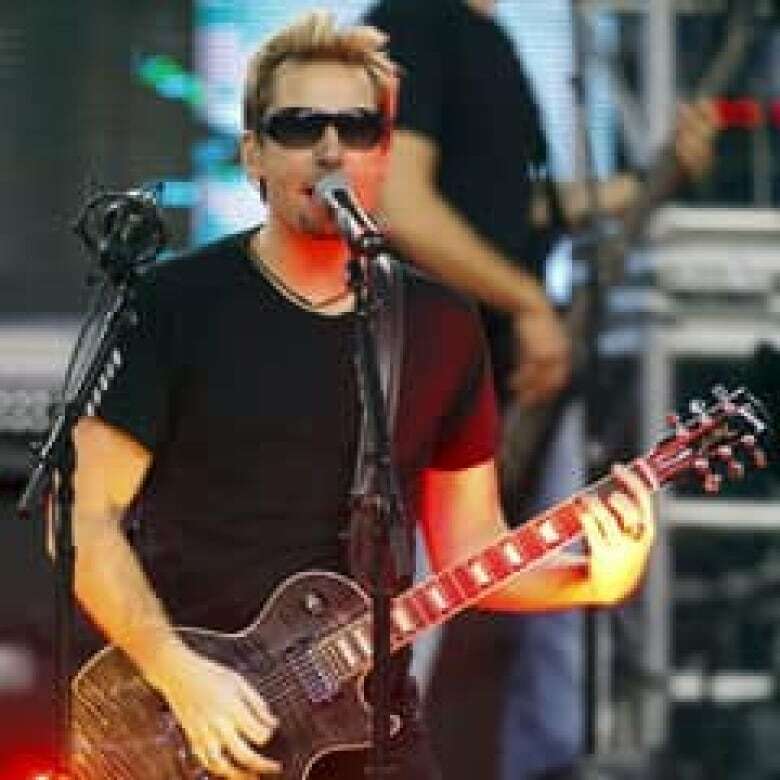 Kroeger has served as lead vocalist and guitarist for Nickelback since the band formed in 1995.